Do you dream of an ideal office? I've found mine, and there are stripes, a black chandelier a gorgeous gold mirror and plenty of old wood. What does yours look like? My perfect office is my bedroom - but unfortunately, I frequently don't have the option to work there. Oh, I'd love to have something so cool. But I am messy. At work I keep a space devoted to Iwan Rheon at the moment. He does make the day go better. This is amazing! I have my desk in my bedroom. Not nearly as cool as I'd like for it to be. Gorgeous! I hope I have a real office space one day, but for now it's just a laptop in the living room. Mmm, I love the idea of this! I would like anything but the mess that is in mine at the moment, haha! 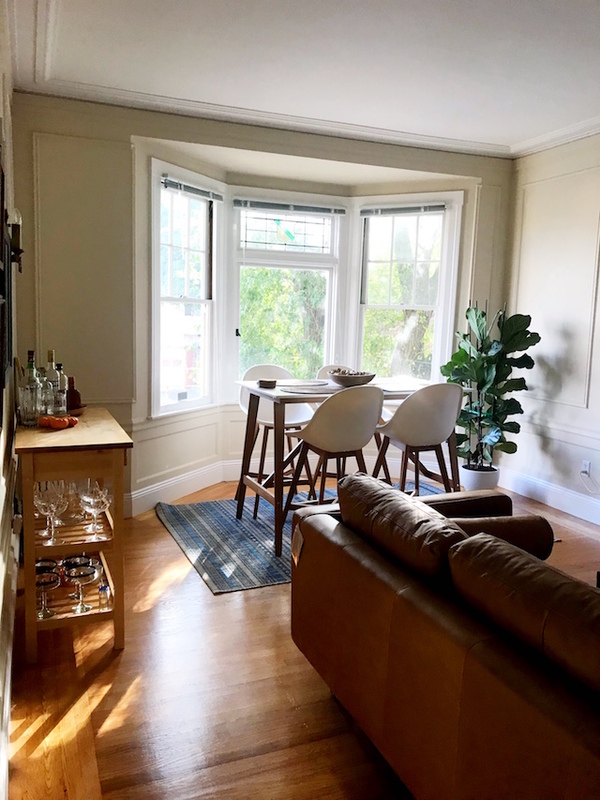 I've seen this space before and I LOVE it! I am dying for my dream office! That means it would be in a different location other than my bedroom! Mine is a large window and floor to ceiling bookshelves...maybe a fire place. Very Oxbridge office. Those curtains are gorgeous! I'll take that space any day! This is one of my favorite offices! What's not to love about old brick and new high-gloss white and ornate gold? Heaven! I already have my "dream" office which is exquisitely furnished. Adore the image above. Wow, this would be one inspiring work space!! Love it. PS. Yes, I worked with Leetal thanks to you connecting me with her. I'm so glad you did because she is indeed amazzzing! 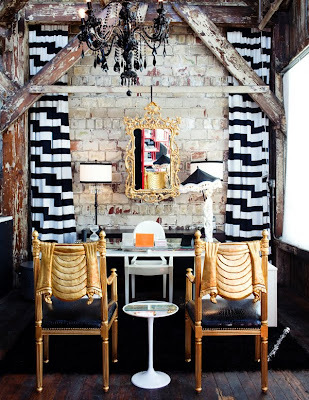 Very stylish and glam home office! Love the exposed brick wall and gorgeous mirror! Love the combination of glamour and rustic.